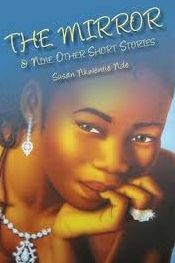 The Mirror & Nine Other Short Stories is an interesting collection of stories with a host of characters that provide young readers with a sense of Cameroonian life in all of its complexity and variety. Most of the stories are set in the author’s home province of Ndop or villages in its near vicinity, and seem to focus primarily on the themes of education, place and/or relationships. However, the over-arching idea of each story seems to be human development, as each main character evolves from one place, be it internal or otherwise, to another. While the collection is generally engaging from a literary standpoint, there are aesthetic challenges that might make it difficult to use as a distributed teaching tool, particularly for middle to high school students for whom grammar, punctuation and spelling are primary points of focus. The title story, The Mirror, for which the collection is named, is less about the actual mirror that gets broken in Christina’s efforts to learn about herself, and more about the struggle to understand growing up as a young girl in an environment where secrecy, especially about male/female interaction and expectation, is normal. Adolescence is a time of much questioning, and this story depicts questions about puberty purely from the internal perspective of the main character. The answers come from external experiences, which do not provide much of a foundation for sound decision-making. The fourth story in the collection, Friends, actually balances the uncertainty of The Mirror through the narration of the experiences of Valentine, a young man leaving the village of Ndu to attend college at the University of Buea. Valentine is a clear thinker who wants to make the best impression that he can on his new acquaintances, while at the same time preserving the integrity of his familial relationships (his uncle is proud of him and supports him by providing room, board and a job handling rent collections). Navigating the challenges of college life and growing responsibility are difficult for Valentine; his negotiations are sensitive, inspired by mature thought and action. These two coming-of-age stories can be used to teach young people about the necessity of open lines of communication with the adults in their lives, as well as peer pressure and its possible outcomes, positive or negative. There are two stories as well in the collection that focus upon the relationship of children with their mothers. My Mother and The Dust of Graffiland both highlight the strength of womanhood and the passing on of aspiration from parent to child without pressure. Despite the difference in circumstances and place between the two (My Mother depicts an educated woman who is bored with her position as housewife, while The Dust of Graffiland presents a village woman who has sacrificed much to provide for her son to attend school in the city), the underlying premise is the same. The Cameroonian women of these stories, though seemingly locked between socially constructed parameters that belie agency, find ways to impart and instill dreams in their children that can take them beyond such parameters. This kind of storytelling is crucial for young people of today’s globalizing world. The other five stories in the collection are about relationships between adults. Marriage, betrayal, human frailty, and values are part of the sub text and the plots are focused again, on human development and social evolution. Civil service, a large part of the post-colonial African experience, is highlighted in these stories, as well as farm life and the internal conflict of those participating in one, the other, or both. This collection is well rounded and would do well if presented in the form of a lecture, with passages strategically highlighted that represent the themes noted above. Unfortunately, The Mirror & Nine Other Short Stories, falls short aesthetically, with serious challenges in the editing process. It comes recommended, with discretion, for that reason. Reviewed by Elana Denise Anderson, Ph.D.